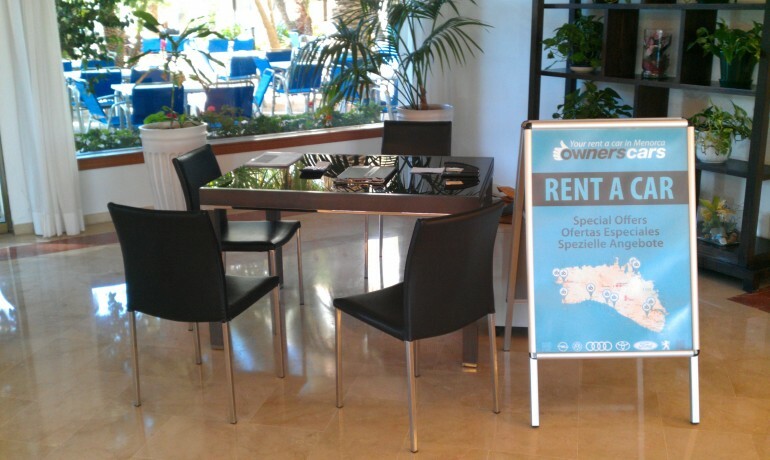 Arenal d’en Castell car hire on the north coast of Menorca in the district of Es Mercadal, a short distance from the Macaret and Addaia developments, has the best offers with the quality and service of Ownerscars, leader in car hire in Arenal d’en Castell. This is one of the finest beaches on Menorca, with restaurants and bars in the immediate area and ideal for the practice of water sports. It has a good range of tourism accommodation and our office is next door to the Aguamarina Hotel. Even in low season you can often find hotels open for Imserso programmes. Anyone visiting Menorca and staying next to the beach at Arenal d’en Castell will want to come back. Beauty and peace, all in one. Our large fleet is regularly updated to ensure your satisfaction when you hire a car at Arenal d’en Castell is totally satisfactory. There’s no surcharge for cancelling or changing your reservation. Just pay the total cost when you pick up your hire car at Arenal d’en Castell.